I now read of an incident involving his brother Lewis Willett. It caught my eye because my mother was adopted by a Willett and was consequently a cousin once removed of Wilfred and Lewis. 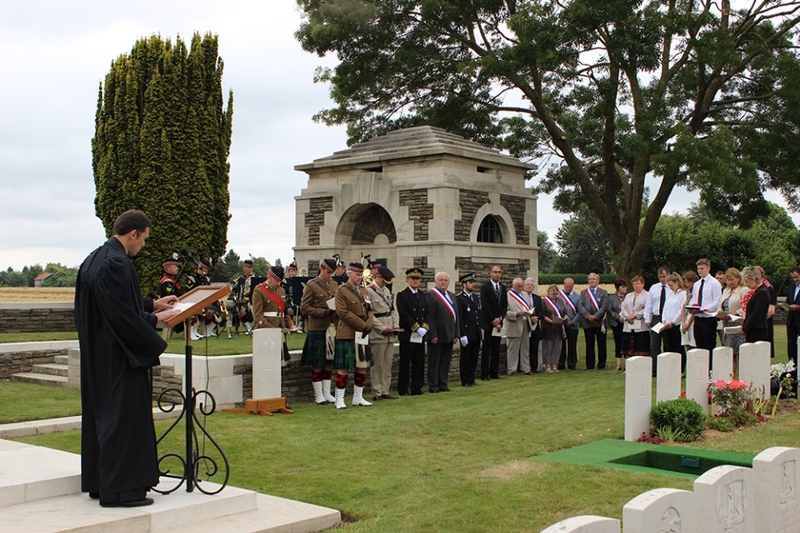 In July 2016 the UK Veterans agency website reported on the burial on 27th July 2016 of Lance Corporal (LCpl) John Morrison, 1st Battalion The Black Watch (Royal Highland Regiment) at Woburn Abbey Cemetery, Cuinchy, France. It was the report of the letters to the family that caught my eye. The attack was fierce and John got a bullet in the leg. Nevertheless, he crawled to the assistance of his officer, also wounded, and was in the act of helping him to remove his pack when he was fatally shot. He was promoted Lance Corporal only a few days before. Some gallant fellow crawled up to me shortly after I was hit, and attempted to assist me off with my pack, but owing to the nature of my wound, I was unable to turn my neck sufficiently around to see who it was. I heard he was hit, and asked him if it was so. He replied: “Yes Sir”; and when I inquired later, I received no reply, but could just touch his hand by reaching back, and found he was dead. From the sound of his voice I thought it was your brother, who was in my Platoon, and I hoped it wasn’t so, and that I had made a mistake, for he was one of my most valued men. It was the officer’s name that brought me up short. Wilfred’s brother was a Lewis Howard Willett. Was this officer Wilfred’s brother? Lance Corporal John Morrison was killed in January 1915, after going to the assistance of his officer, 2nd Lieutenant Lewis Willett. The Black Watch reference confirms that the injured officer was indeed Wilfred’s brother. A remarkable but tragic coincidence. If Lewis Willett was not aware of the coincidence at the time, he must at a later point have reflected on the contrast between his story and his brother’s, and how his unfortunate brother was luckier than the brave John Morrison.